of renovating or building can be avoided if you "Get it in Writing"! You may think that a verbal agreement will be good enough for a small job such as erecting a fence or adding a deck. The possibility of dispute still exists though so it will make sense to download your sample Contractor Agreement and edit it for your specific project. Whether it is a relatively large or only a small job, and especially if you are an owner-builder, you can reduce your risks if all aspects are detailed and agreed upon beforehand in your contracts. Quite often unnecessary frustrations, disagreements and possible lawsuits could have been avoided if all requirements were understood by all parties and formalized in your contractor agreement or owner-builder agreement. From the outset you should have a written agreement with the person responsible for your design on what you will get, with regards to detailed drawings, bill of quantities, statutory permits and approvals etc. Sidebar: If you need an agreement in an employment situation for an independent contractor, please refer to our Employment Contracts - the free Independent Contractor Agreement or Fixed-Term Employment Contract should be ideal for you. It will be well worth your time to go through the information below before starting your project and not to compromise on any of the suggestions. Ask amongst your friends or colleagues for a recommendation for a builder, painter, paiver, swimming pool constructor etc. before you explore advertisements. Ask them whether the contractor finished on time, stayed on budget and adhered to the construction contract. Is he/she a member of the relevant association or institute or do they have the required license to perform the task? How many years have they been in the business? Is a physical inspection of their business premises and previous work possible and do they have references from previous clients? Find out what the legal requirements are in your state or country (especially important for the owner-builder), and ask for original proof of all risks insurance cover, 3rd party liability, worker's compensation, insurance for subcontractors, license bonds etc. and verify their validity with the issuing organization. Site access, workers' parking and extent of the site. Ablutions and or canteen facilities for the remodeling or building contractor and his workers. Local regulations often prohibit or limit how many personnel can live on the site. The physical location of incoming material stockpiles and rubbish piles. The contractor is responsible for clearing the site prior to completion. The position of telephone lines, power lines, water and sewage pipes, French drains etc. must be put in writing (in your free contractor agreement) and the responsibility for any of these during construction must be clearly assigned. 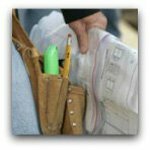 Your Contractor Agreement can best protect your interests if you tailor it to your unique requirements. If however, the contractor insists on supplying the construction agreement, it does not mean you have to accept it in its entirety. Many clauses can be negotiated, deleted or altered. Strike any clauses that are not in your best interests! Clauses that you may wish to add should be in the form of an addendum to the document. If you are not comfortable with the language, meaning or possible interpretations of any part of the contractor agreement, have it reviewed by a lawyer. "The owner agrees to pay any increases in labor or material costs which may come into effect after signature of the agreement"
"Should any of the specified materials not be available for any reason the general contractor reserves the right to substitute with similar materials"
The scope of work (which will be detailed in final drawings and specifications) and which will form an integral part of the general contractor agreement. It should also clearly state which part of the work is not covered by the general contractor e.g. they might fit window frames, but will not be responsible for the glazing. Any variation orders which may occur during the project term, not covered in the initial scope of work. The payment schedule and whether monies are paid by the owner or by a finance institution on his behalf. The dates for commencement and completion. Details of all insurance by all parties. Warranty on materials and workmanship. Mediation, arbitration and jurisdiction. Having disputes decided by arbitration is much more cost effective than going to court. The sample contractor agreement provided here makes provision for arbitration as well as the right to go to court. Discuss the matter beforehand and reach a mutual agreement on which course of action will be followed. 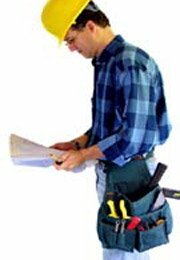 Your comprehensive general contractor agreement can ensure that building, remodeling or renovating your home or business does not turn into a nightmare. Does this site deserve your thumbs up? Let's hear your verdict about what you've read here!